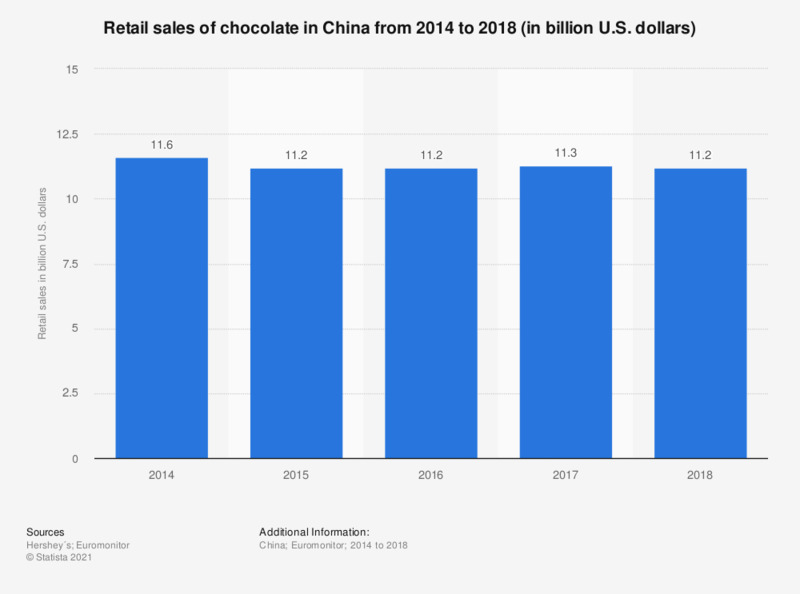 This statistic depicts the retail sales of chocolate in China from 2010 to 2016. In 2016, retail sales of chocolate products amounted to approximately 2.8 billion U.S. dollars. The source did not provide the exact publication date. The date given is the date of access.